WhatsApp for Android has received a new beta version – v2.19.21. The new WhatsApp beta version doesn’t bring any major new features, however, it has been spotted using new emoji designs for 21 emojis. The new WhatsApp build is also believed to make way for the anticipated authentication feature that will enable fingerprint access on the instant messaging app. The reports of WhatsApp supporting fingerprint authentication on Android devices emerged earlier this month. WhatsApp is also speculated to enable Face ID and Touch ID support on iPhone in the coming future. 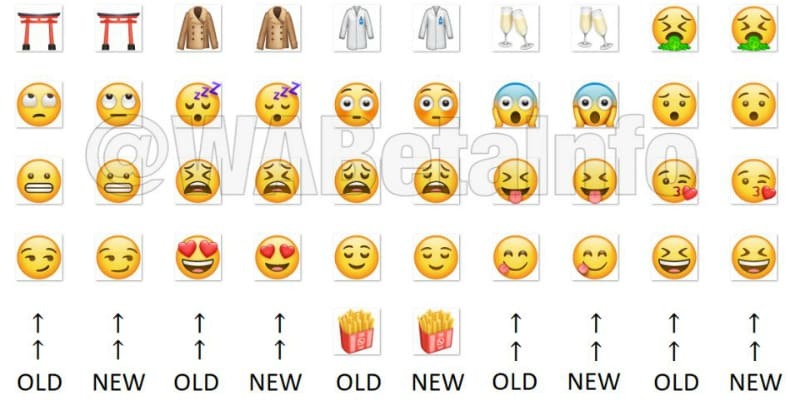 According to a report by WhatsApp beta tracker WABetaInfo, WhatsApp for Android beta v2.19.21 is now available via the Google Play Beta programme, and shows new emoji designs for 21 symbols. We were also able to spot the changes. WABetaInfo adds that WhatsApp is able to remotely enable the authentication feature with the new beta version, a feature that was reported earlier this month, implying the feature will be enabled soon. “Note that this doesn’t mean that the feature will be enabled today or tomorrow but, when the feature will be enabled, the 2.19.21 update will be fully compatible,” the report adds. The feature is essentially set to enable the WhatsApp client on Android devices to use fingerprint authentication. This would be similar to how WhatsApp for iPhone is so far rumoured to bring authentication via Face ID and Touch ID. As WABetaInfo reported previously, the fingerprint authentication feature will be available within WhatsApp – under Settings > Account > Privacy. It is said to natively protect your chats from others by using your fingerprints. Furthermore, the feature is reported to be available for devices running Android Marshmallow and newer versions along with having a dedicated fingerprint sensor.